Los Angeles–based fashion e-tailer Fashion Nova launched in 2013, but anyone who's on social media can attest to the fact this brand has been blowing up on Instagram over the past year—so much so that it's recently become the most searched-for fashion brand on Google. You might recognise Fashion Nova thanks to the ever-trending Cardi B, who will be launching a collaboration with the brand this autumn. Not only has the rapper spoken on multiple occasions about her longstanding love for FN, but she also regularly posts about it on her IG feed. She even featured the brand in her music video for "Bartier Cardi." 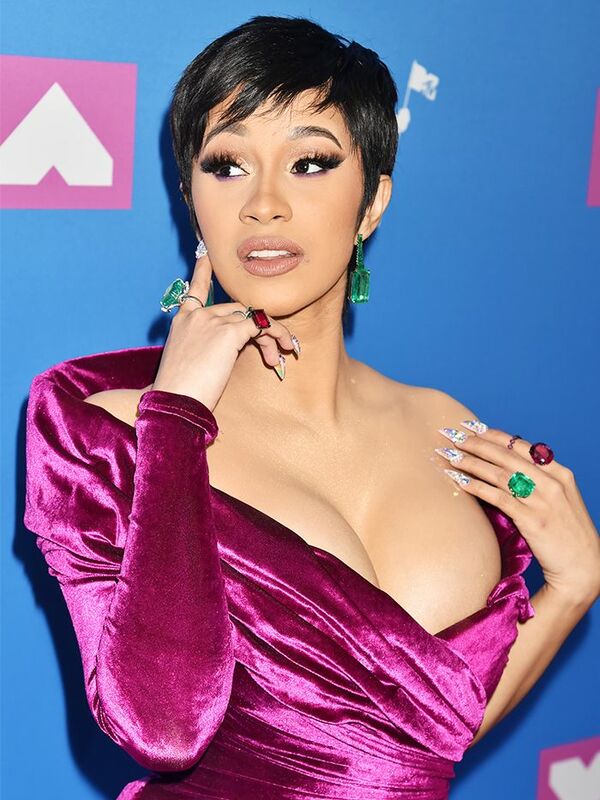 A video of Cardi posted to her Instagram whilst wearing a pair of Fashion Nova jeans has garnered more than 8.5 million views. In the video, Cardi says, "Wanna know how rich people like me stay rich? By staying on a budget. These pants right here are Fashion Nova." Marketing gold. The affordable fast-fashion label has received countless mentions on Instagram from other celebs in a similarly body-con–loving circle. Kylie Jenner and her sisters are known to be fans of Fashion Nova, for example. Then there are the many Instagram influencers that make up the brand's online army. The #NovaBabe crew is easy to spot in their jersey co-ords, slinky party dresses and cute sportswear. The hype surrounding Fashion Nova has a lot to do with the tight network of Instagrammers whose support for the brand has helped create a loyal following. And just who is the Fashion Nova customer? With hundreds of new products each week, it could apply to so many personal styles. The brand is perfect for those who are looking less for straight-off-the-runway trends Zara and Topshop offer and more for straightforward pieces at great prices. It's also the kind of fast-reacting hub where you can suddenly jump onto viral Insta trends like the cycling-shorts craze. In addition, the brand is admired for its plus-sized range, which goes up to size 3X. With 13 million Instagram followers, it's safe to say Fashion Nova is beyond cornering its market. Featuring models of all different ethnicities and body shapes on the regular speaks to a demographic of consumers who have long felt excluded from the fashion industry. A menswear line is also now live on the site, and a makeup line will soon follow. "We are transforming FashionNova.com into a one-stop shop lifestyle destination," CEO Richard Saghian told Business of Fashion. But have no fear, UK #NovaBabes. While Fashion Nova is USA based and shows prices in U.S. dollars, it offers free international shipping for orders of $150 or more in six to 10 business days, or standard for $15. Like many affordable online stores, it's important to know what to pick. Choosing the items that look most expensive can be hit or miss when ordering online, so we'd suggest cherrypicking the simplest pieces to begin with. It's true: LBDs never let you down. Snake print is happening, people. This has '90s vibes all over it. Very KKW or Gwyneth Paltrow in Sliding Doors—depending on how you style it. These mesh ruched dresses are all over Insta. The brand is known for its skintight skinnies, but these looser fits are worth checking out too. There are plenty of accessories to check out. Cargo pants are clearly having a moment. Now check out the other high-street brand we're obsessing over on Instagram.